When my kids were little. I always had a meal in the freezer that I could cook in an instant. It changed over time, but it was mostly stir-frys, that I could cook. Now, of course, we all have an Instant Pot, which makes meal times MUCH easier. So, here is one of my Back to School hints for all of you out there, trying to figure out how to juggle it all. 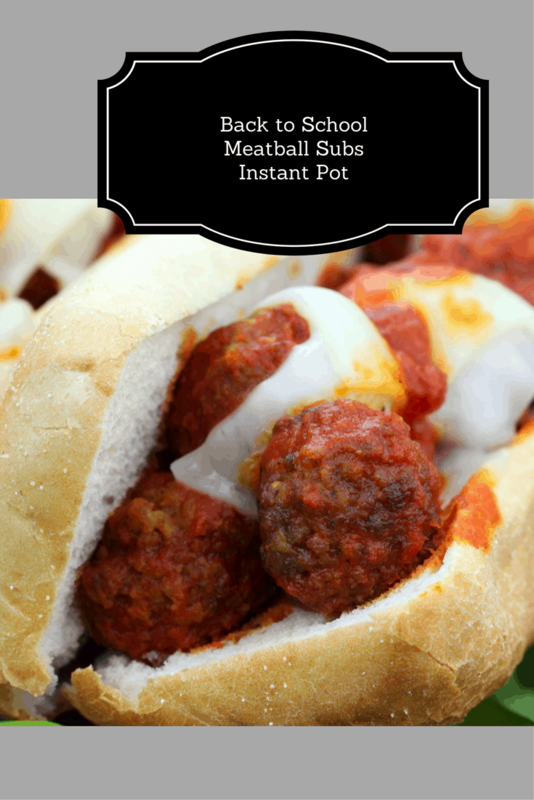 It’s Meatball Subs, it’s not unique, it’s not fancy, but it will fill starving children and save you a headache or two. I put a layer of marinara sauce on the bottom, I find that they don't stick as much. Then add the frozen meatballs, then add the sauce on top. Cook on high manual pressure for 12 minutes.